Rocheleau is curating What in the World Is a Grain Mummy? to present this humble bundle and its falcon-shaped coffin for the first time and to unravel the mysteries of the NCMA’s only Egyptian mummy. The exhibition focuses on how the scientific method was used to re-establish a questionable item as a genuine Egyptian object. It also delves into the concept of grain mummies; explains their role in ancient Egyptian funerary religion; and discusses the importance of emmer wheat and barley in ancient Egyptians’ diet, economy, and religion. 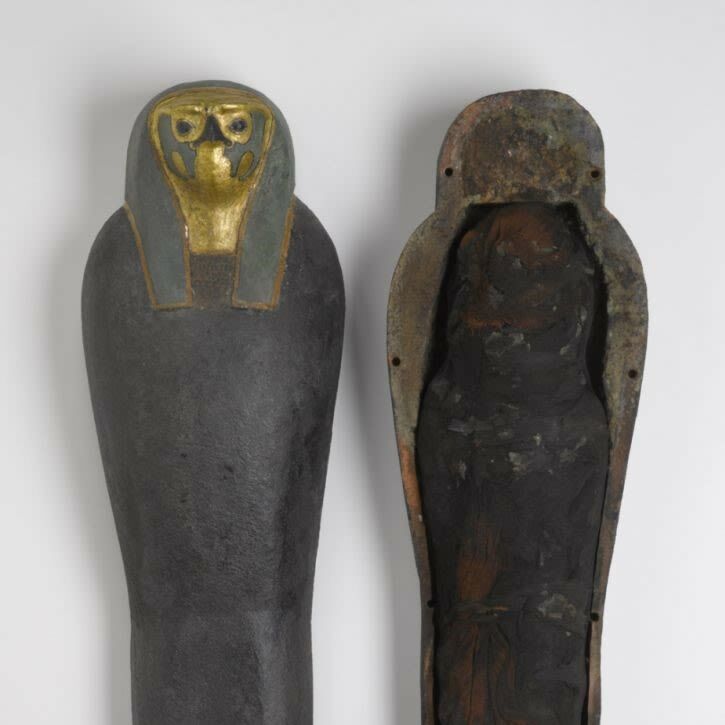 The exhibition also explores why the grain mummy was once confused with a falcon mummy and compares it to an actual ancient Egyptian falcon mummy. Organized by the North Carolina Museum of Art. This exhibition is made possible, in part, by the North Carolina Department of Natural and Cultural Resources and the North Carolina Museum of Art Foundation, Inc. Additional support for Caroline Rocheleau’s curatorial research on the Egyptian collection was made possible by GSK.